Bolton Social Business Collective's spring gathering will be hosted by Team Boo and the focus will be around how small businesses can contribute to generating social value in Bolton. 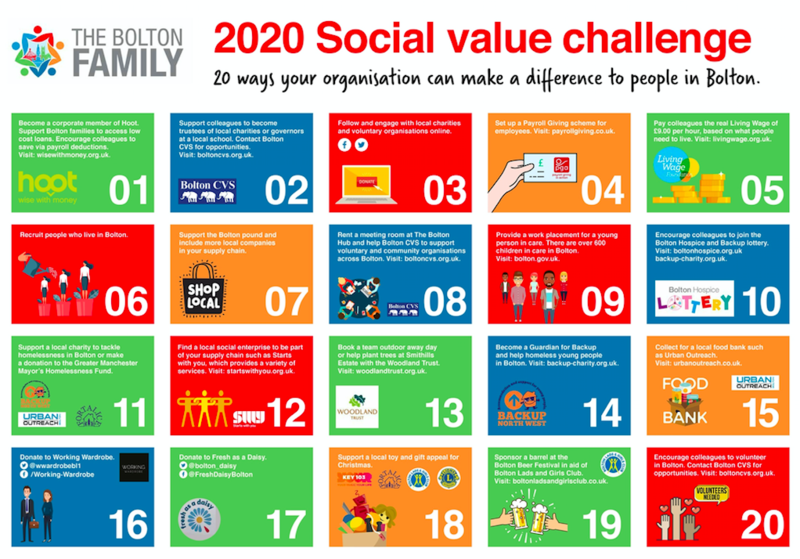 Karen from Turn Up The Value will be sharing the Bolton Social Value Challenge (attached at the bottom of this page) and will be welcoming new friends from Hoot Credit Union, who are highlighted at number 1 on the Bolton social value challenge. The Social Business Collective mission is to bring together businesses with a social heart in Bolton to build social value, working together for Bolton's community, local economy and environment.